The Uber dropped me (and my suitcase) in front of the designated building, on one of the darker blocks just south of downtown San Francisco. It was Monday night. 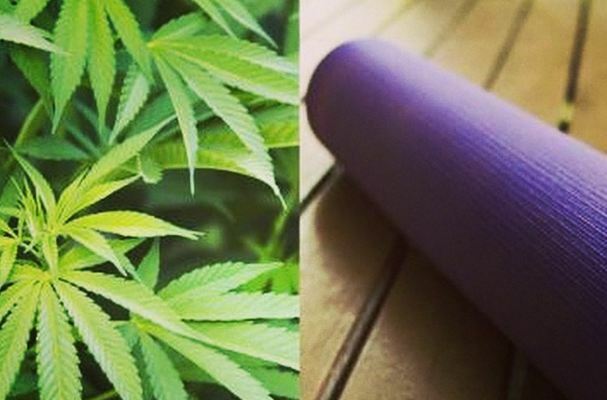 I’d traveled more than a thousand miles so I could get stoned during a yoga class. This was the place where that happened. I looked up at the hand-painted sign. “Merchants Of Reality,” it read. The door to the building was open. There was a locked metal gate in front. I rang the buzzer. A young man came down the stairs. Handsome and bearded and wearing flannel, he leaned in toward the gate. “Are you here for the gathering?” he said. I walked up the stairs. The walls were covered in interesting collage. At the top was some sort of paper-mache art that looked like a flowery octopus. I’d fallen down the rabbit hole. According to my host, Merchants Of Reality’s building was originally a hotel in 1906. It has been through many incarnations since, but is now a non-profit art space where some dudes live. It is also a licensed medical-marijuana cooperative. They grow their own. And if you have an MMJ card in California, you can legally smoke weed on the premises. 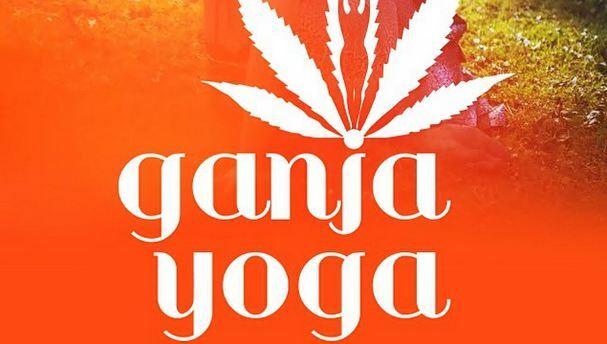 You can even smoke weed while doing yoga. For the last 11 years, I’ve been practicing yoga nearly every day, and I’ve been getting stoned a lot longer than that. I love yoga, and I love weed. In fact, they’re my two favorite things. In 2010, I received my yoga teacher’s certification from a demanding (and decidedly sober) school in Boulder. I’ve since written three yoga books, all of them featuring pot-smoking protagonists. When it comes to stoner yoga, I’m more or less a professional. So when I heard that a yoga teacher in San Francisco was offering several “Ganja Yoga” classes a week, where students actually smoked on their mats during practice, I cashed in some frequent flier miles and flew there as soon as I possibly could to check it out. For years, I’d dreamed of this reality. I live in Texas. If a teacher tried a stunt like that here, they’d be looking at 20 years in Huntsville. I couldn’t wait to be among my tribe. The Ganja Yoga class was supposed to start at 7:15. It was 7:10, and I was the only person who’d showed up. “Do you have your MMJ card?” he asked. He told me I could go on the balcony to smoke a joint. That wasn’t technically on the property, he said, so it was my problem if I got caught. It seemed like the balcony was on the property to me, but I wanted to get high, so I didn’t argue. As to how I’d obtained the weed, I was in California. It wasn’t hard. While I stood outside, barefoot, in 50-degree weather, the teacher, Dee Dussault, arrived, a Canadian hippie bearing too many candles and dozens of little sample bags of THC-infused pretzels, which she’d been given to share with her students by the startup company that makes them. She apologized that no one else had come to the class. Predicting such things can be difficult for any yoga teacher. By 7:45, there were four students, including me: An attractive female yoga teacher from the East Bay, a massively-built African-American bodybuilder who, as I got high with him on the balcony, gave an excoriating speech against George Will, and a regular-looking middle-aged guy wearing a black hoodie. Two minutes later, I sat on my borrowed yoga mat, stoned out of my wits, my hands devotionally in the air above my head. 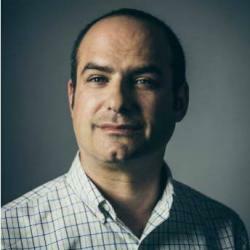 Dussault said, “Let’s all give gratitude to cannabis. Plant medicine.” I didn’t find this freaky or corny. It felt like eating a Reese’s Peanut Butter Cup of New Age wellness. Life was but a dream. When you practice high, it’s best to go slow, and that’s how Dussault ran things: Stretchy and not super-aerobic. But I was really high. Whatever weed I had smoked — and I had smoked several varieties — was very strong, and I’d had a couple of those special pretzels, too. This wasn’t like taking a little puff of Mexican ditch garbage from the vaporizer before grinding through my daily yoga hour at home. We moved with perfect languidity through some mellow poses, stretching out our shoulders and our hips, mindfully watching our breath the whole time, keeping our gazes softly focused, sometimes closing our eyes. After nearly ten hours of consecutive travel, it felt incredible. My joints relaxed, my bones realigned. The connective fascia of my lower back broadened and unraveled. My hip flexors lengthened. The physical and mental stress of my long travel day, all my quotidian worries and neuroses, dissipated into nothingness. This tends to happen when you’re practicing yoga anyway, but the super-strong cannabis coursing through my system made it just a little more intense. I had full awareness of my body rearranging itself at a cellular level. We lay in savasana, final resting pose, otherwise known as “corpse pose.” It had never felt so pleasant to be a corpse. “And now it’s intermission,” Dussault said. I’d never been to a yoga class that had an intermission before. “So people can go to the bathroom or put on socks or chat,” she said. These classes, as far as I could tell, were about 90 percent yoga and 10 percent ganja. People are welcome to smoke up at any time during the classes, Dussault told me, but they mostly do it before and during the break, but rarely during. We went back inside and lay down.